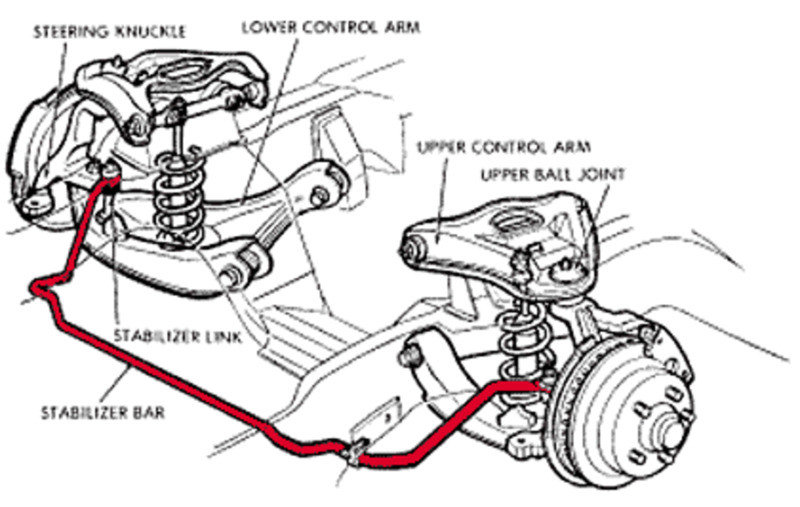 A common wear item, on Camrys approaching or exceeding 100,000 miles, is the rubber bushing on the rear sway bar (also called stabilizer bar). 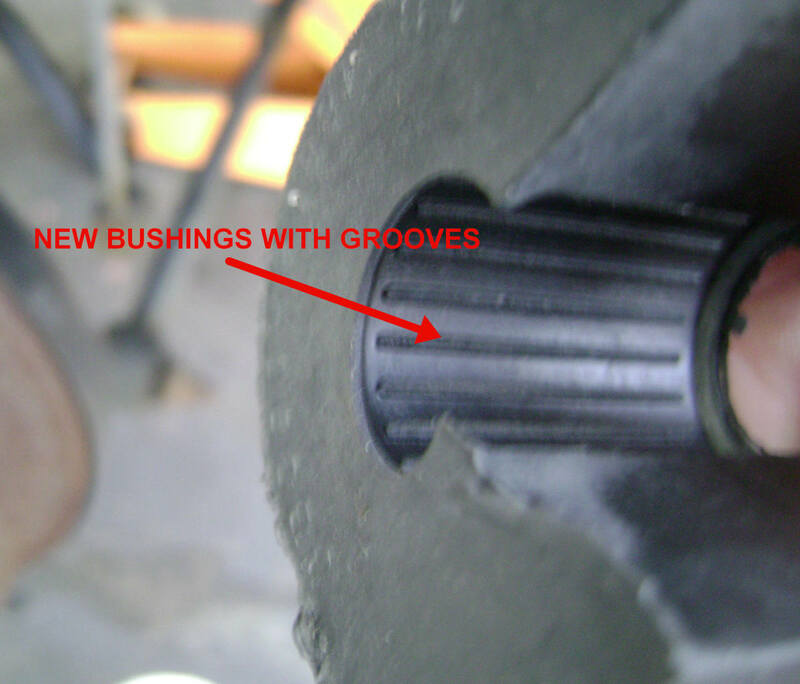 When these bushings wear out, you hear a distinct rattling or clunking noise when driving over rough surfaces. You can't duplicate the noise when the car is stationary, even if you bounce the car or push on the trunk or bumper. But, in very bad cases, you can grab the bar and move it within the bushing, and then you know the bushing needs replacement. 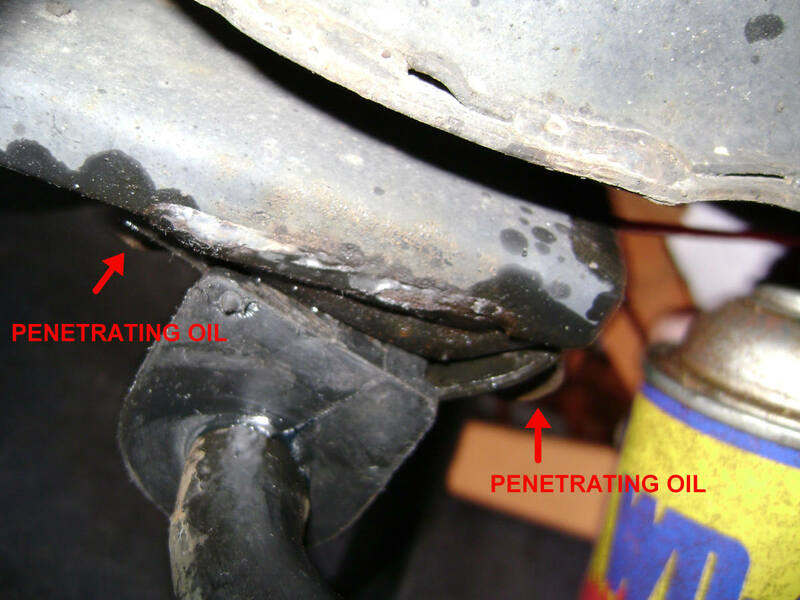 Penetrating oil, grease, or any other type of lubricant will not make the noise disappear. As a stop gap solution, you can secure a thin, hard rubber strip between the bushing contact surface and the sway bar. A common mistake for many Camry owners is to assume the reason for the noise is that the rear suspension struts require replacement. 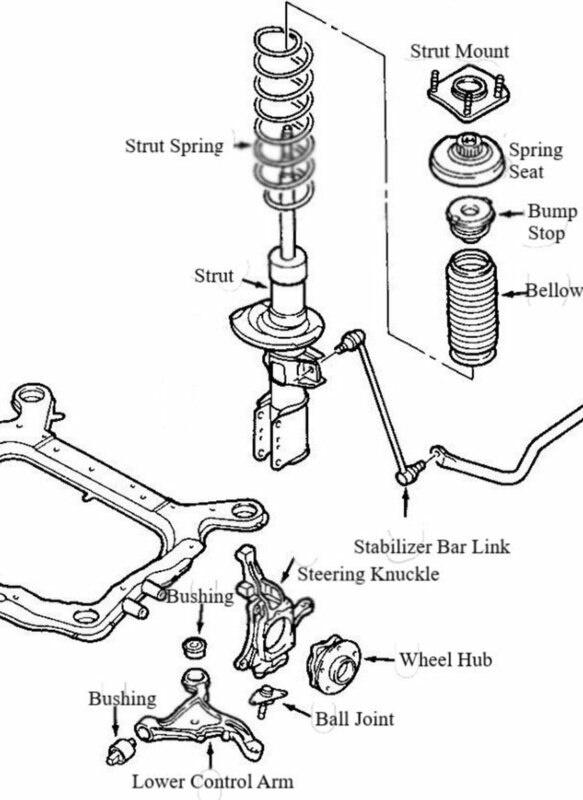 Although the struts may be worn, replacing the bushings will likely eliminate the annoying rattling noise, and should be considered first before performing an expensive strut replacement. Remove the bracket bolt (apply penetrating oil before removal). Clean sway/stabilizer bar bushing contact surface. Split bushing open and mount on bar. Push mount bracket on new bushing. Screw in and tighten mount bracket bolts. 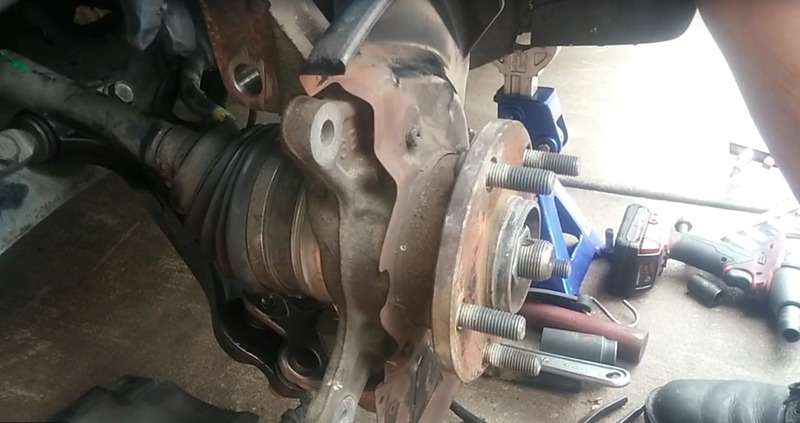 The 2.5 minute video below will show you step-by-step how to replace the rear sway/stabilizer bar bushing on a Toyota or Lexus sedan. The design is the same for the Camry, Avalon, Corolla, Solara, Lexus ES300 as well as later model sedans. 1. Bracket Bolt Removal - Apply Penetrating Oil before removal. These bolts have a tendency to shear off if too much torque is applied. 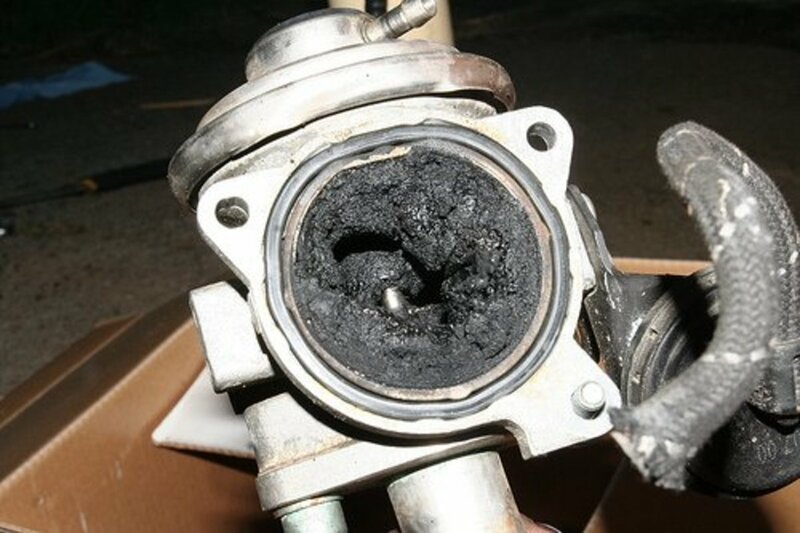 The rust buildup on the threads can be overcome with penetrating oil and perhaps a little heat from a torch. Use a 1/4" socket wrench with a 12 mm socket. 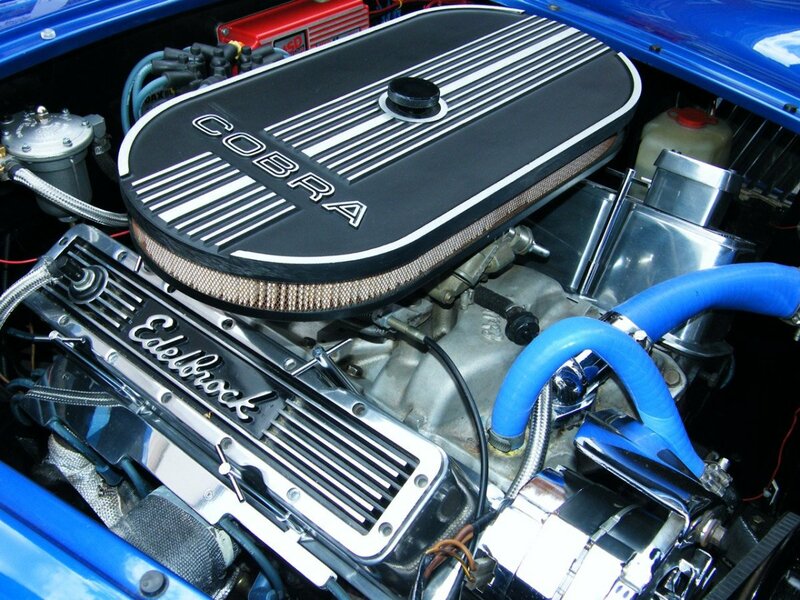 A 3/8" wrench provides too much torque and runs the risk of shearing off the bolt head. If you do end up replacing a strut and sway bar, the video below shows how to do it on the '90s Camry and similar cars (an Avalon in this case). The rear end of my Toyota Camry shimmies at times when I hit bumps. What could be one of the problems? Your struts are worn out. 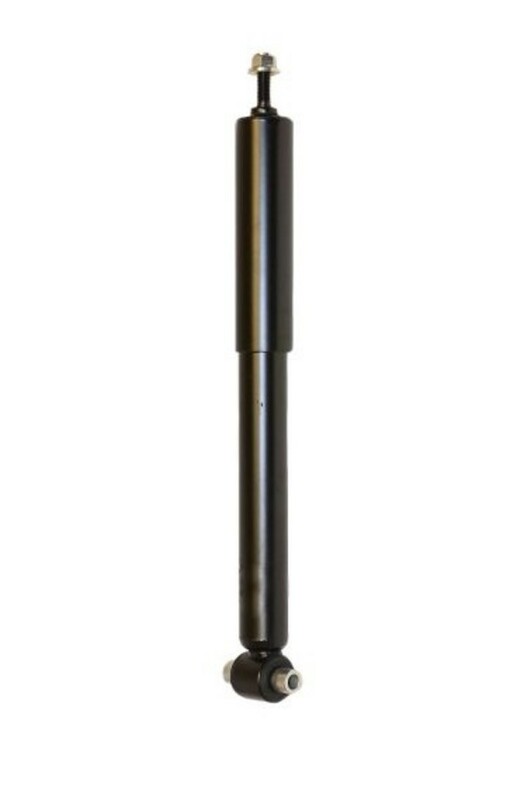 When they're shot, the compression and rebound of the strut springs are no longer being dampened. As I said, without being on-site to evaluate, I'm making assumptions. Get a 2nd or 3rd opinion by going to a repair shops. Some charge and some don't charge for an evaluation. It doesn't make sense for it to b my tires or rims, as the vibration stays even when I get them balanced. I even spent extra on getting a road force balance done and it did nothing. I'm trying my best not to lose any more money to this problem, but if you are sure it's wheel bearings I will get them replaced. Yes ... wheel bearings. They get progressively louder as you go faster. Growling noise? Maybe on the front end when you make turns. Vibrations caused by tires being out-of-round or wheel imbalance. Wheel bearings? Wouldn't I hear noise from them or feel play in the wheel if that were the case? There's no growling noise when traveling down the road and no resistance when free spinning the wheel. Bar is tight to the bushing, however not to the frame. When weight is taken off of one rear wheel, I can see there's about 3/8th of an inch gap between the bushing and the frame. However, that shouldn't cause a vibration, should it? 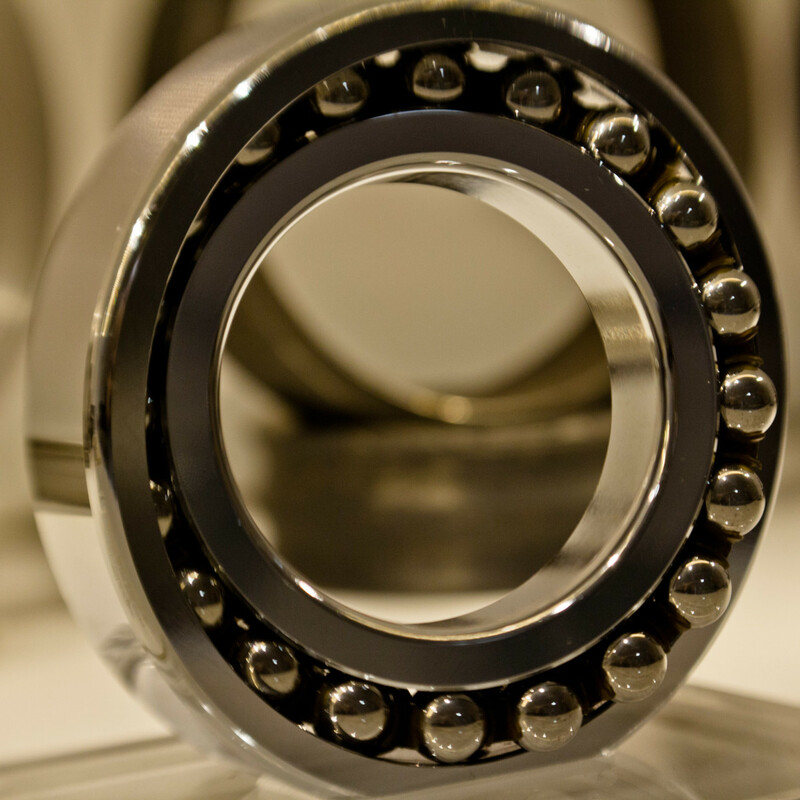 In my opinion, believe one or both of your rear wheel bearings are worn out. 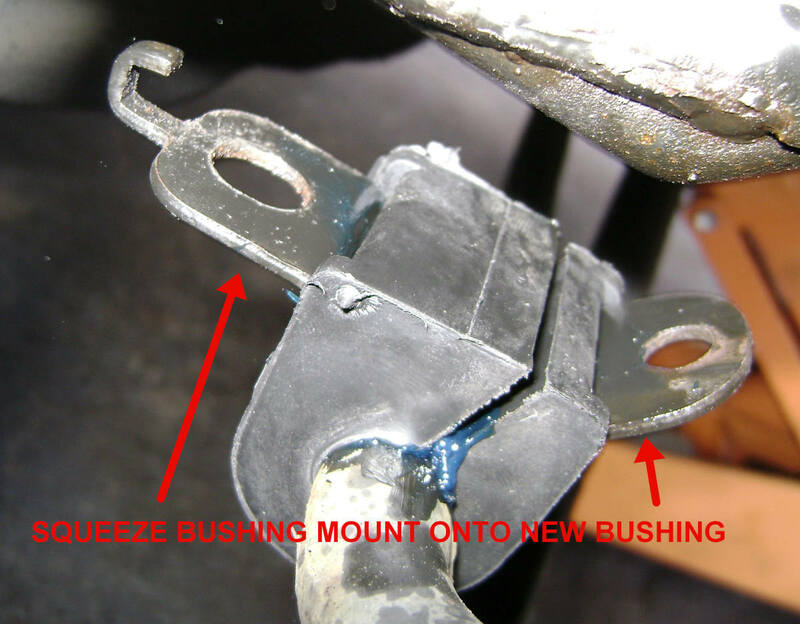 Also check that your stabilizer bar bushings are not worn out. They make noise if worn out. You can tell by grabbing the bar and seeing if it moves back and forth within the bushing. For vibration issues, have your wheels checked for balance as well as the tires if they've gone out-of-round. Let's see if I can get a reply. I have owned my 98 Camry for the past 3 years, and have had the same sound in the rear, coupled with a feint vibration. I initially thought it had something to do with tires, but each season when I switch winters to summers, I realize the noise and vibration is still there, with no change in intensity. I replaced the rear stabilizer links with a size tighter, and polyurethane and the noise is still there. I hope someone can reply, the noise and vibration is difficult to diagnose. Hard to say without driving it and looking under the car myself. Can't hurt to replacement the links and bushings. Not very expensive. My 2006 camry feels like it sways in the rear end. It almost makes me feel sea sick. I've replaced the struts, it has new tires. Will the bushings cause this? Thanks for this great tip.You saved me $120 CAD for repair.All I have to do is to buy the bushings for $25 CAD and perform a less than 20 min job on my work. Before you do anything since I do not want you to to spend money on anything that you do not need. Please check all your rear suspension bushing. For example: strut mounts, bolts, trailing bushing, lateral/ control arm bushing, swaybar links ect. Jack the rear tire up and move it around to see if there is any play and go from there. Most common noise for this model is rear swaybar link noise when you go over the bump. 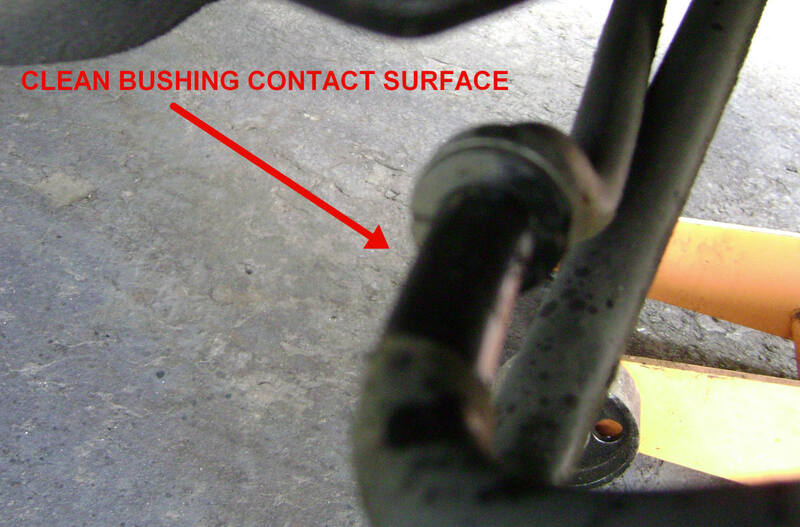 Also as the car get older, rear lower arm control bushing may have to be replaced otherwise rear tires will wear out prematurely on one side. To make the story short, take your time to see where the noise is coming from and replace that part. It should not be very difficult. 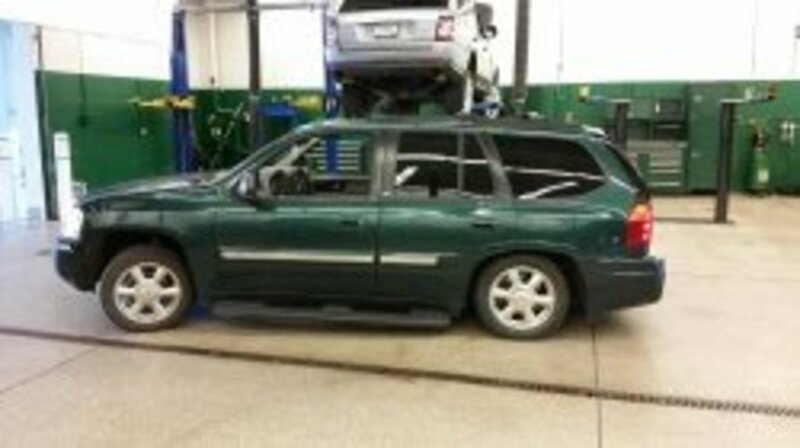 If you still have issues, take the car to Belle tire and have them check it out for you, free estimate. Talk to them like you do not know anything about car. Hope it helps! SO I REPLACED THE BUSHINGS FOR THE SECOND TIME. STILL DIDN'T FIX NOISE. I WONDERING IF BUSHINGS IN REAR SUSPENSION ARM COULD BE CAUSING PROBLEM? SO I CHANGED MY REAR SWAY BAR BUSHINGS ON MY 1995 TOYOTA CAMRY LE WAGON, ALONG WITH THE LINKS AND STRUTS. THE PROBLEM IS THAT THE THE SWAY BAR HAS A LOT OF PLAY INSIDE THE NEW BUSHING ON THE PASSENGER SIDE ONLY. I USED MOOG AFTER MARKET BUSHINGS. I CAN'T SEE ANYTHING WRONG WITH THE SWAY BAR ITSELF. THE RATTLE AND VIBRATION ARE DRIVING ME NUTS. ANYONE HAVE ANY IDEA WHAT I SHOULD TRY NEXT? I really do not know how your problem could be occurring unless you are using a non-factory spec wheel and tire combination. If that is the case, you can get wheel spacers (they go between the wheel hub and wheel) but you may then have another problem; the tire rubbing against the inner fender lip. Is the rattling noise coming from the front or rear end? If the rear, probably need new struts. We replaced the bushings and the links. It solved the squeeking noise, but there is still a rattling noise when going over bumps. The struts are probably the originals, as we have never replaced them. We've had this car for about 10 years. Have not tried the strut test you mentioned yet. Your description of symptoms exactly what I experienced. I was thinking the worst. 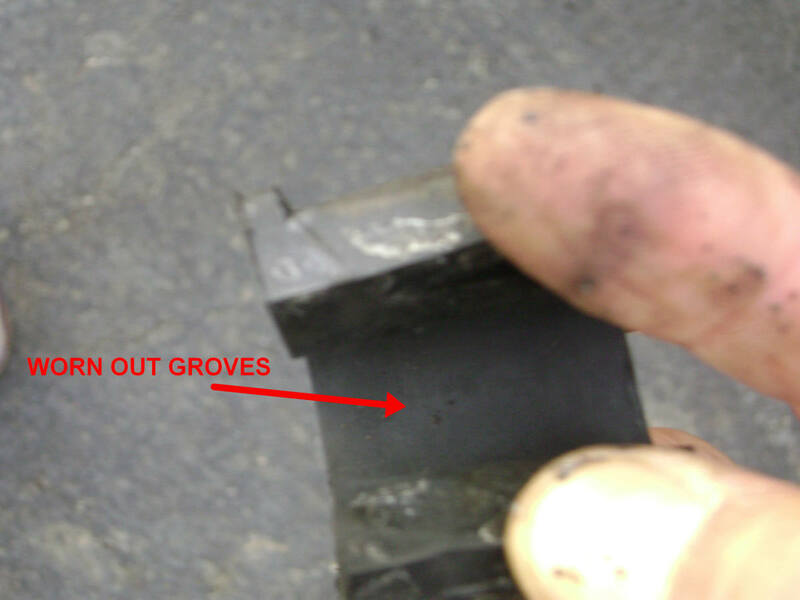 I Purchased a new set of sway bar bushes and noise has disappeared. The old bushes were worn but not disintegrating. Thanks, you have saved me time and a lot of dollars! 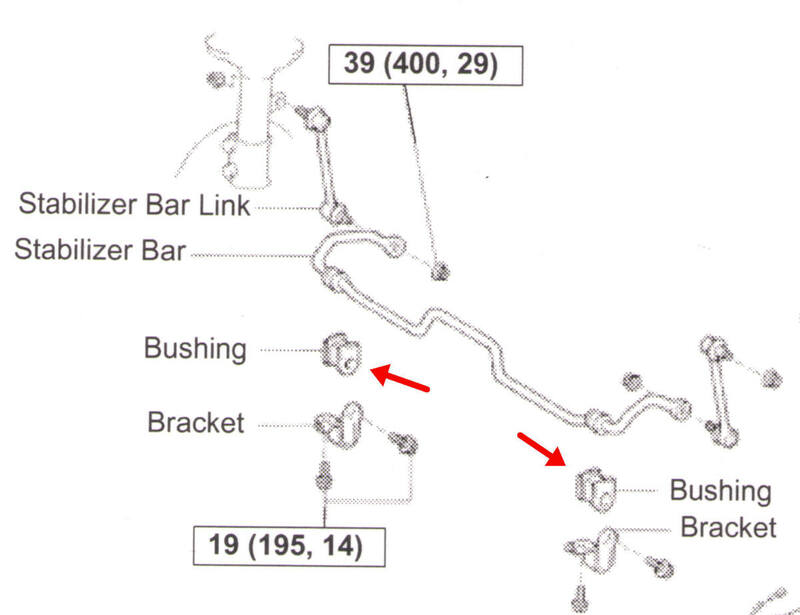 Did you replace the sway bar bushing? When was the last time the struts were replaced? When pushing down on the trunk, does the rear end go down easily? .... if so, the struts are shot. Our 97 Toyota Camry has a very loud squeak/creaking noise in the back end. It has over 300,000 kms. It otherwise runs great. Having trouble locating the noise. Any ideas what this might be? 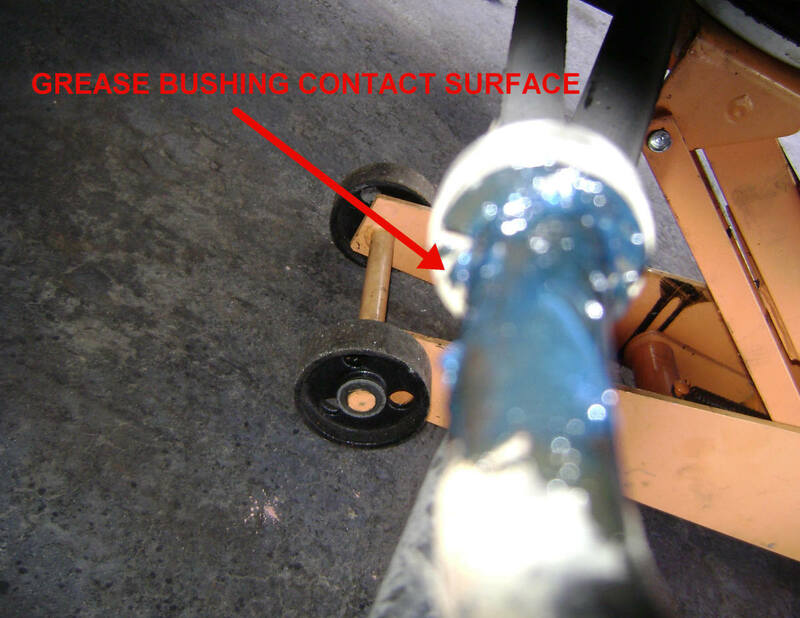 The stabilizer bar's paint is usually rubbed off with the constant friction from the old bushings. No need for any special cleaner or sandpaper. Just slip the new bushing on and it'll be good for a long time (perhaps 100k miles). If you want something better, get bushings made of synthetic rubber (poly types). Never seen bushings with grease fittings. Must be expensive. Standard replacement bushings are cheap so I really don't care if they wear a bit faster than bushings with fittings. I use grease or silicone spray only to ease slipping and adjusting the new bushings on the bar along the with the bushing clamp ... that's all. Much appreciated article! 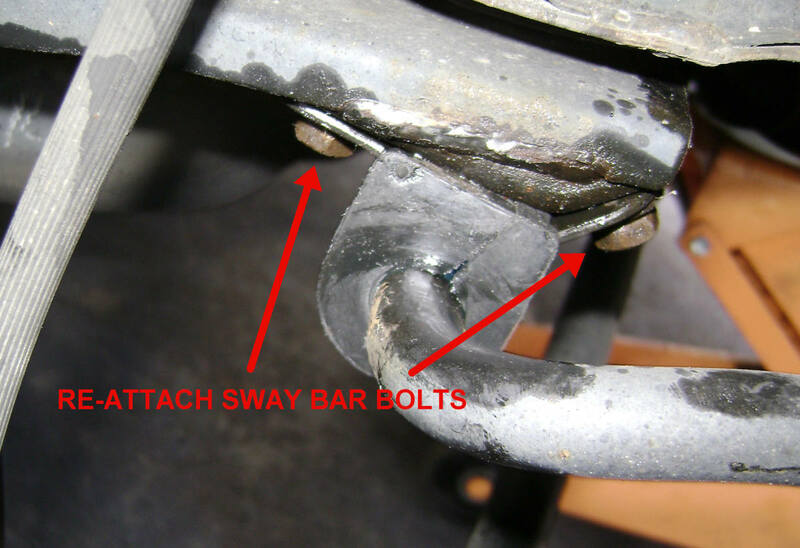 What are you doing to "Clean Sway / Stabalizer Bar Bushing Contact Surface?" Any special chemical cleaner or sandpaper perhaps? What to use to grease the bushings? Do they make any rear bushings with grease fittings so they can be greased on a as needed basis? I did see some aftermarket front bushings that come with grease fittings and was thinking maybe there are some available like that for the rear? 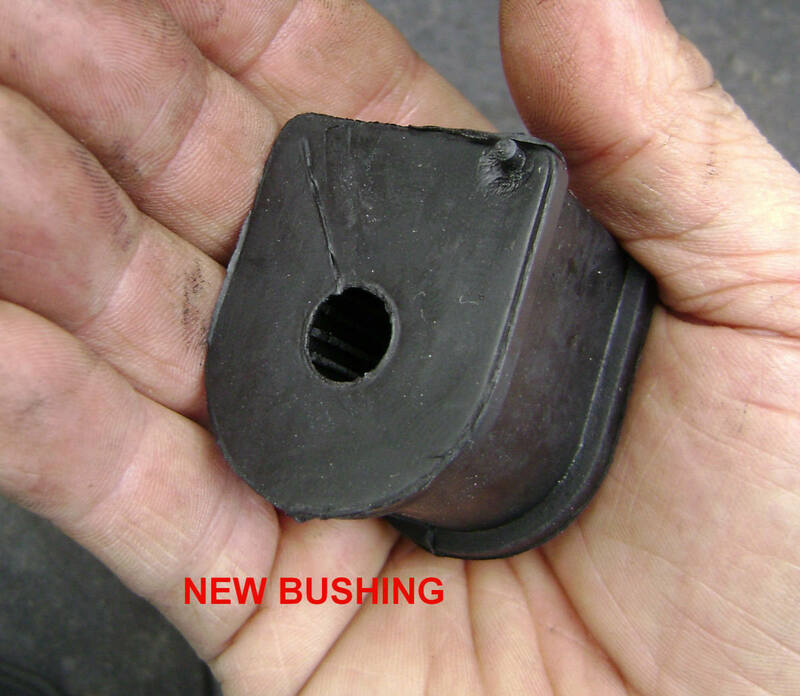 I found rear bushings Toyota OEM part#48818-07010 for a 2001 US built Camry. I wonder if aftermarket ones would be better? OEM rubber vs the plastic ones? 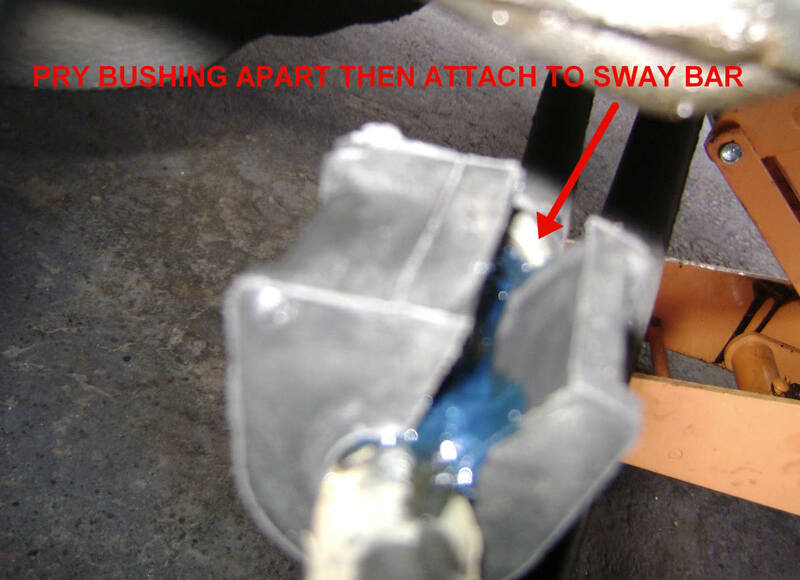 When they're really worn out, the sway bar will slide in the bushing by grasping the sway bar then push and pull. Changing the sway bar bushings fixed my clunking problem that Toyota could not find. You can't tell if they are worn unless you remove them and check if the grooves are worn or missing from the inside of the rubber bushings. I used Toyota part number 48818-06110 and the job took 30 minutes. With the mileage being over 176K, I would replace them as well. hardlymoving, I would like to thank you very much for your help. What about the front sway bar bushing? Should I replace it? I've replaced (2) rear adjustable lateral links on my Toyota Camry 94, 176k miles and big improvement even thought the bolts were hard to be removed. Your suggestion would be very much appreciated. No ... it's shouldn't matter. 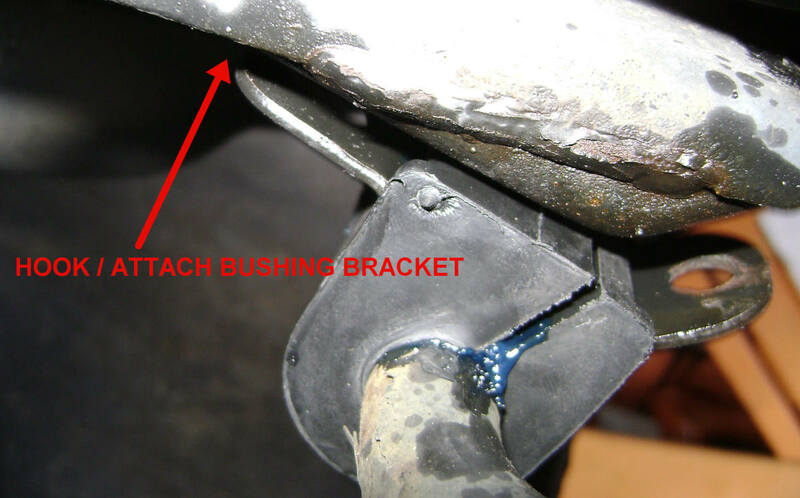 The bushing of my car installed backward and I wonder it is okay if I install the same way like it was. Thank you very much for spending time helping us out. Nice job on your hubs, you can tell you put some hours into detail, keep up the good work. I worked on hondas for 25 years, we had a lot of similar problems with front sway bar bushings clunking, just replace the bushings and it rides like new.